Bottle-feeding is a ubiquitous aspect of infant feeding, yet bottle-feeding caregivers report a lack of support and access to evidence-based advice related to healthy bottle-feeding practices. This gap is due, in part, to a greater emphasis placed on breastfeeding support and promotion. Given a large and growing body of research illustrating associations between bottle-feeding and a number of health issues – such as overfeeding, rapid weight gain, and dental caries – the lack of advice and support for healthy bottle-feeding practices is concerning. To this end, this book aims to illustrate the state of the science related to bottle-feeding practices, caregiver perceptions, and related health outcomes. 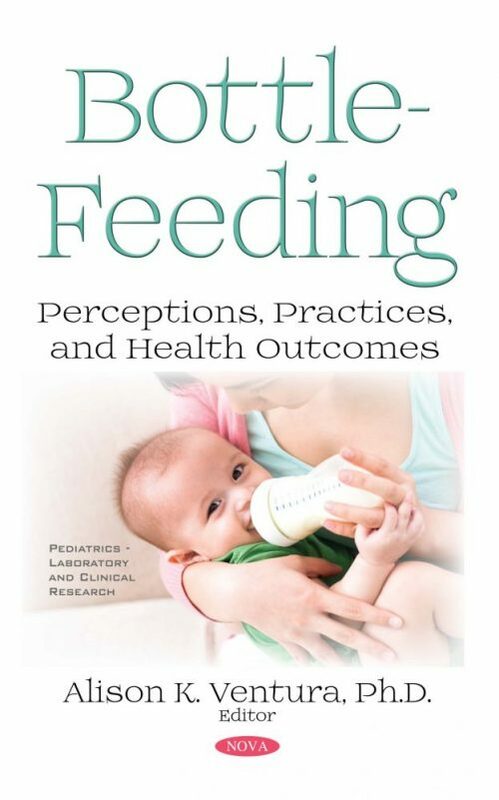 Based on this evidence, this book also provides practical, pragmatic advice to ensure that practitioners, researchers, and other professionals that work with families with young infants can best support bottle-feeding caregivers and promote the healthy growth and development for bottle-feeding infants. Chapter 4. Infant Feeding and Maternal Control: What Factors Drive Feeding Style? Chapter 5. Is There an Optimal Bottle for Reducing Bottle-Feeding Infants’ Risk for Overfeeding?